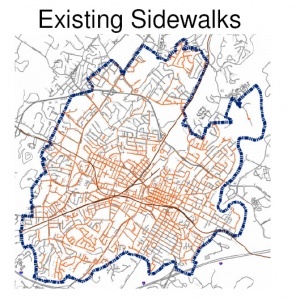 Charlottesville had a sidewalk committee that met to decide where new sidewalks should be built within city limits. The group is currently[when?] developing a new priority list for public input and eventual approval by the City Council. The last priority list was created in 1997. ↑ "New Sidewalks - 2010." Chart. Charlottesville Tomorrow's Document Archive. Web. <http://www.cvilletomorrow.org/docs/20100622-City-Sidewalks.pdf>. This page was last edited on 9 September 2018, at 23:24.